Pakjira Thai Massage & Spa Scheveningen run business started by Pakjira from Nakonsawan , Thailand. Thai Massage is my passion and my life’s work. i’m observed Traditional Thai Massage treat disease and maintain physical and mental well-being countless times. My dream was to bring authentic Traditional Thai Massage to Scheveningen to share the therapeutic healing properties with everybody who needs it. In 2017 we win the second prize for best Thai Massage salon in the Netherlands. Our mission is to promote a healthy lifestyle, instill well-being, release tension, relieve chronic & acute pain and rejuvenate our clients using therapeutic healing arts of Traditional Thai Medicine (TTM) and Traditional Thai Massage. The set of guiding principles for our organization. These are the building blocks of our culture, because we’re grateful for the opportunity to help others. As caregivers, we approach each customer with compassion and empathy. We strive to earn and keep the trust of those we serve by delivering exceptional therapeutic service. Founded in 2012, we opened our treatment center in Thomsonlaan 90 A, Den Haag. 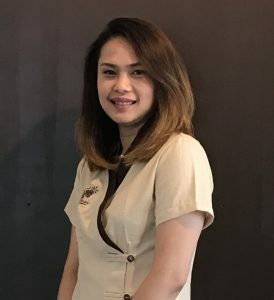 Pakjira Original Thai Massage & Spa is a trusted community health care service provider for people seeking natural and healthy alternatives using authentic Traditional Thai Massage. We live, operate a business and raise our family in Den Haag, We are your neighbors. Our employees are our friends and are from the Den Haag and neighors community. We are proud to provide a service that contributes positively to our community and adds quality lifestyle to our neighborhood.